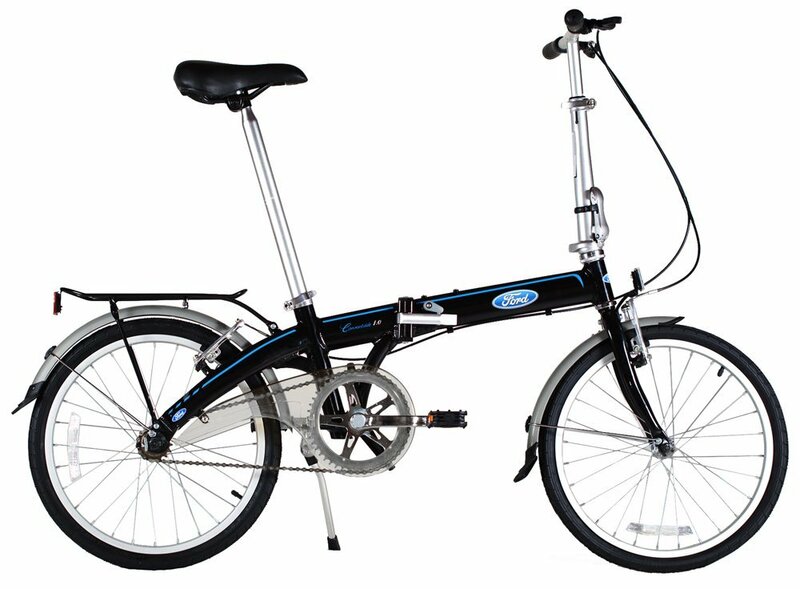 The Ford by Dahon Convertible is as much a legend as the Mustang Convertible that it is named after. This impressive ride features a strong and durable yet lightweight aluminum frame. The Convertible is fully decked out with fenders to keep you clean and dry, lightweight yet powerful alloy V-brakes for superior stopping power and a rear rack to haul all your gear. The technology behind this precision bike allows you to fold it in seconds, making it perfect for taking and storing anywhere; under your office desk, on mass transit trips, in the trunk of your car or simply stored in a space saving location. And of course, its designed and built by Dahon; innovators and builders of high quality folding bikes with decades of proven reliability, quality and expertise. The Convertible: big speed, grand elegance and high precision all in a small package. You will have to ride to believe it.